3-bedroom first floor apartment for sale in Alzambra-Vasari. 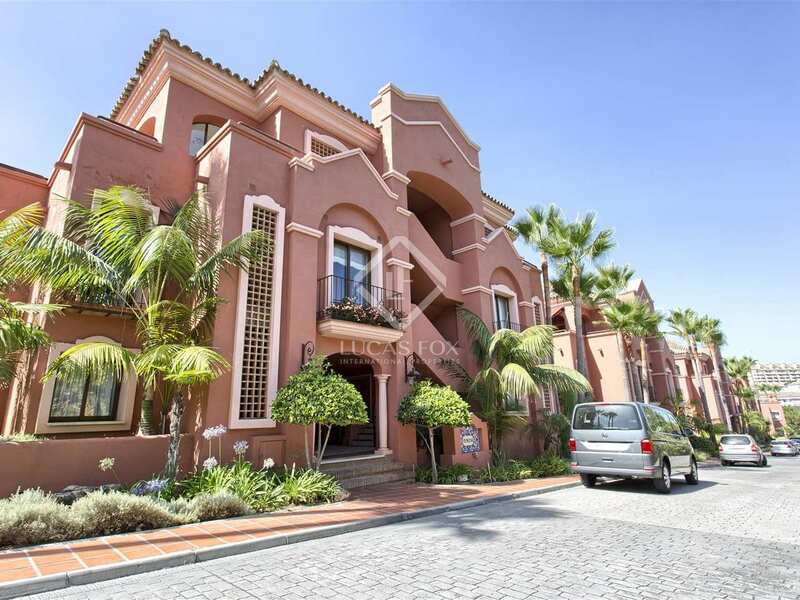 3-bedroom first floor apartment for sale in Alzambra-Vasari residential area, 5 minutes on foot from Puerto Banus and the beach. 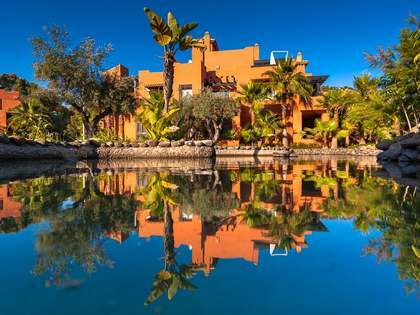 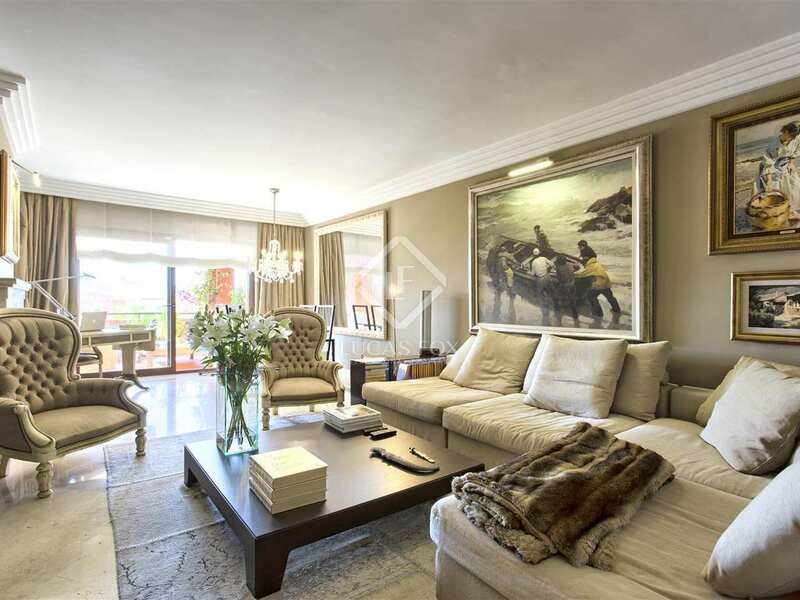 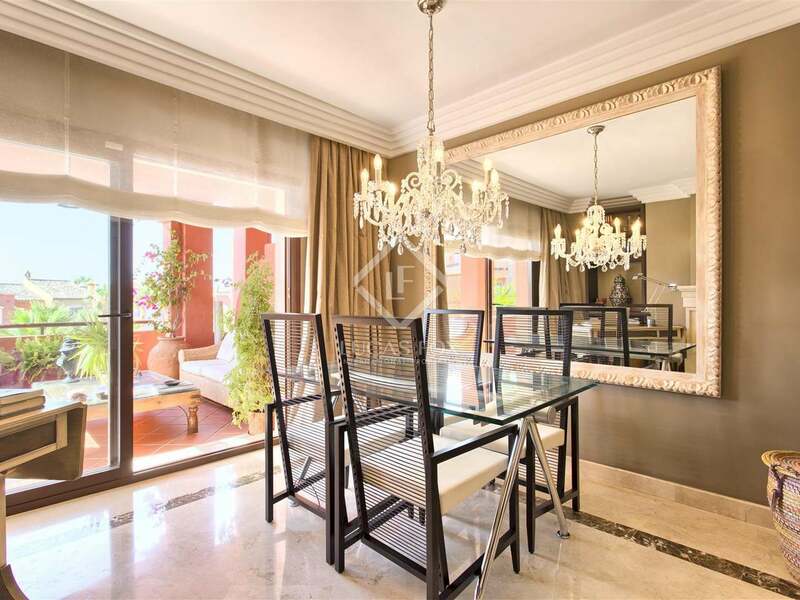 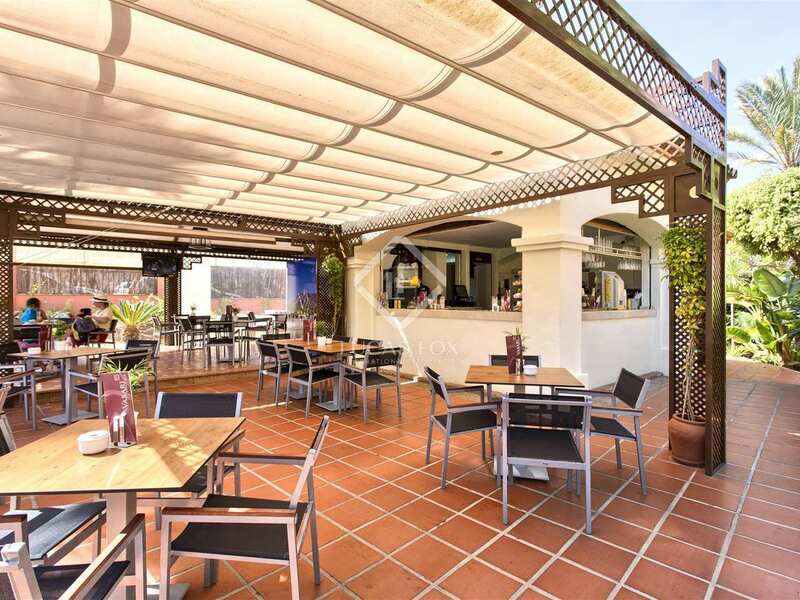 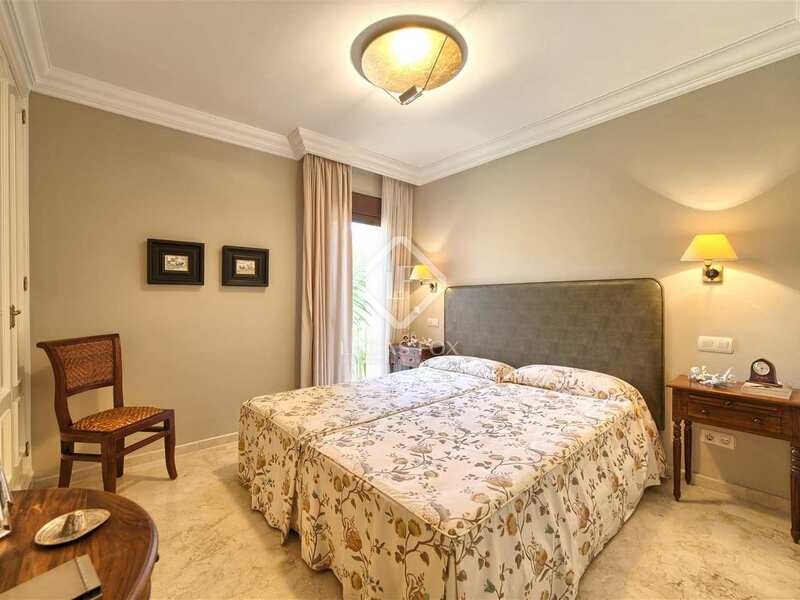 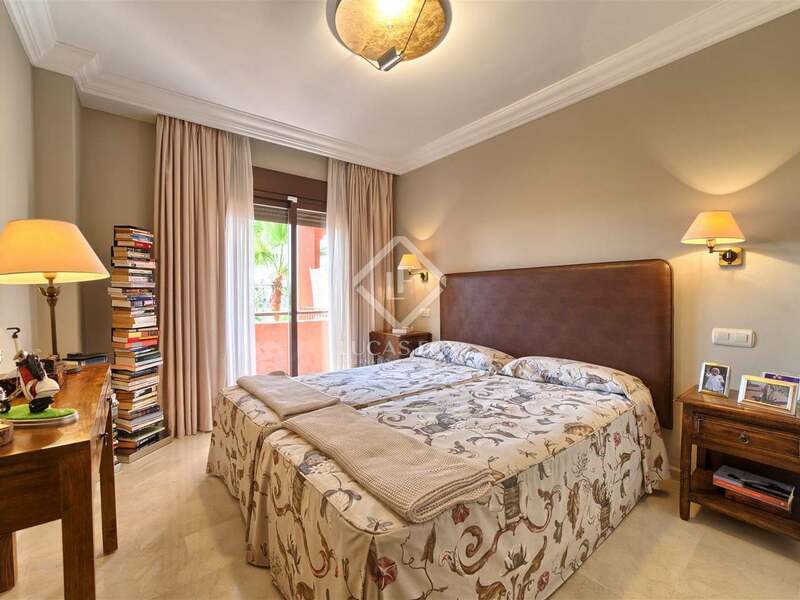 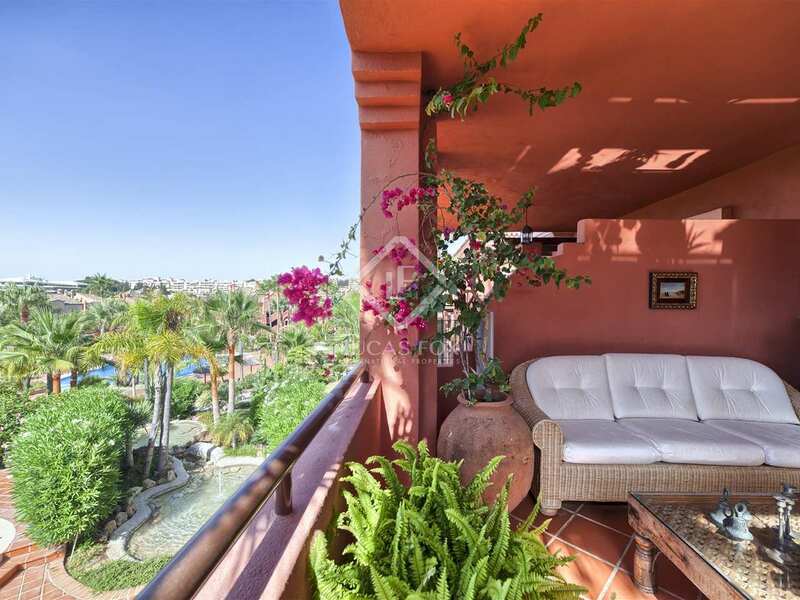 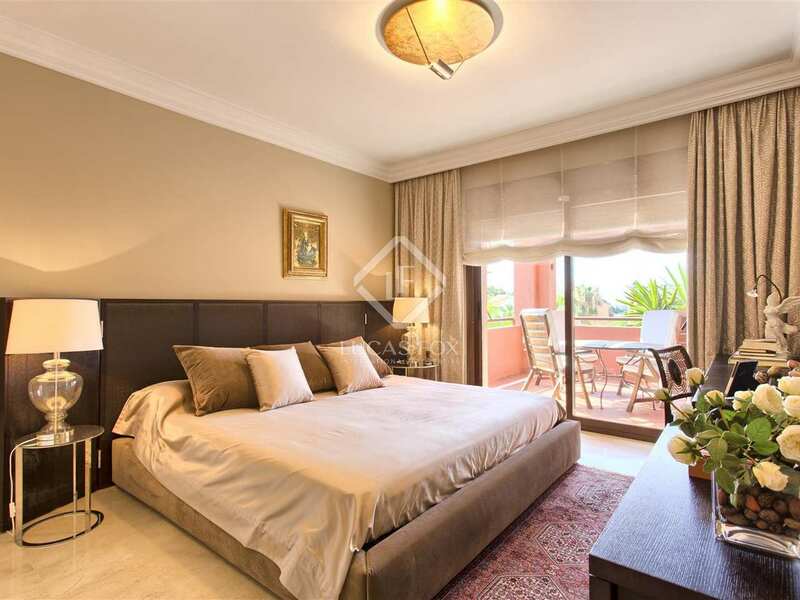 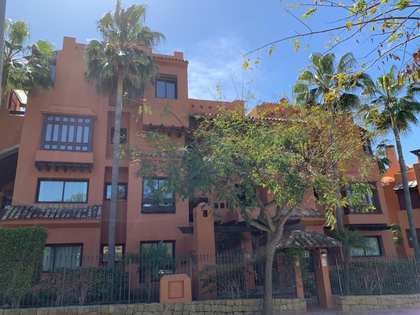 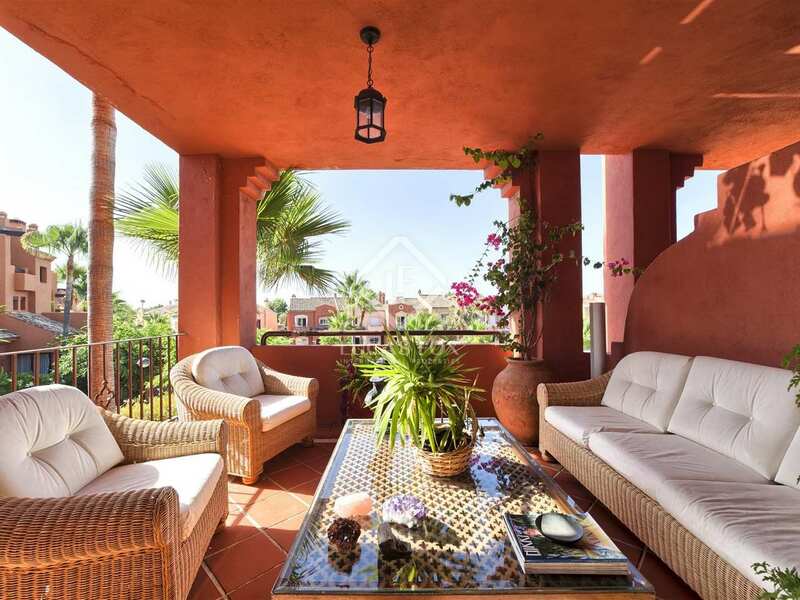 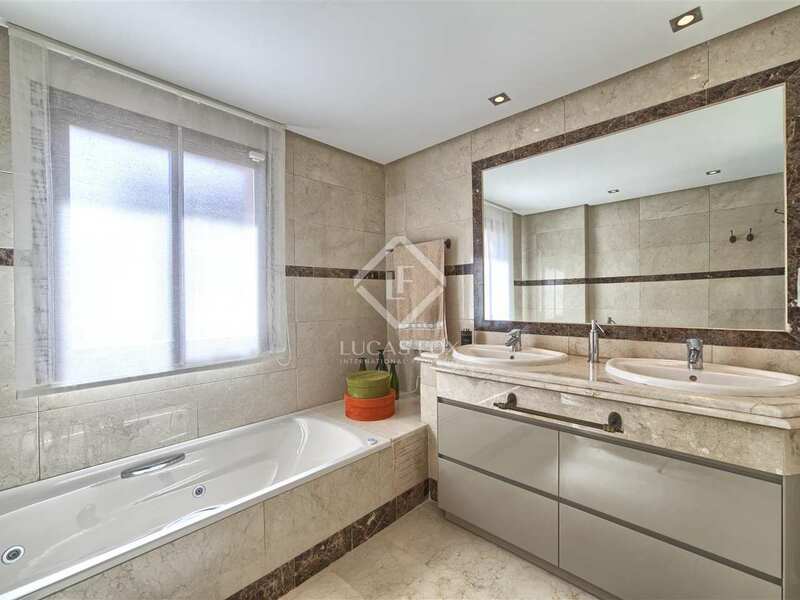 This 3-bedroom first floor apartment is found within the attractive Alzambra-Vasaari residential area, just a 5 minute stroll away from the glamorous Puerto Banus and the gorgeous beaches of Nueva Andalucia. 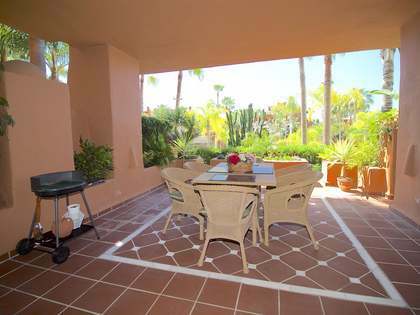 The apartment has a beautiful living and dining area with a terrace with views of the communal pool area. 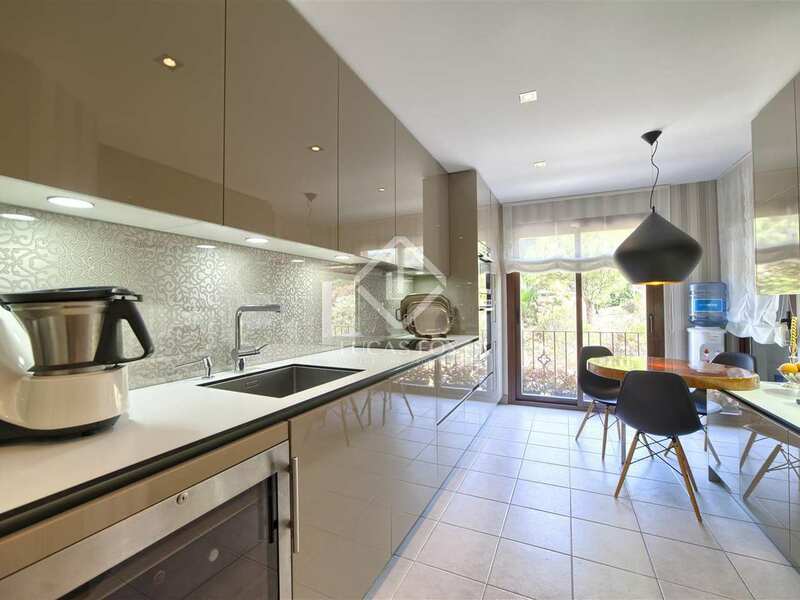 This is followed by a brand new kitchen which is fully equipped with dishwasher, fridge-freezer and a washing machine. 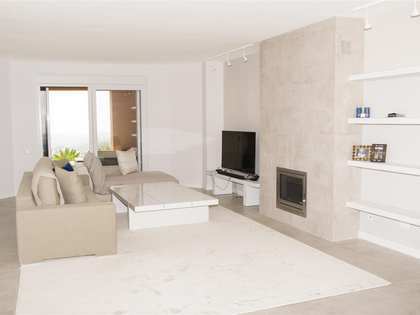 There are 3 bedrooms with en-suite bathrooms and the entire property is equipped with air conditioning and heating. 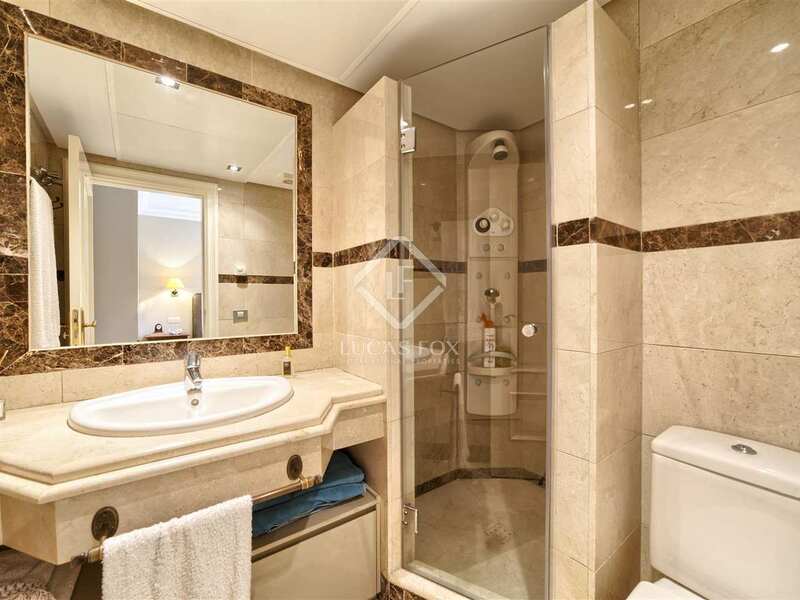 The property has 2 private parking spaces and 2 storage rooms. 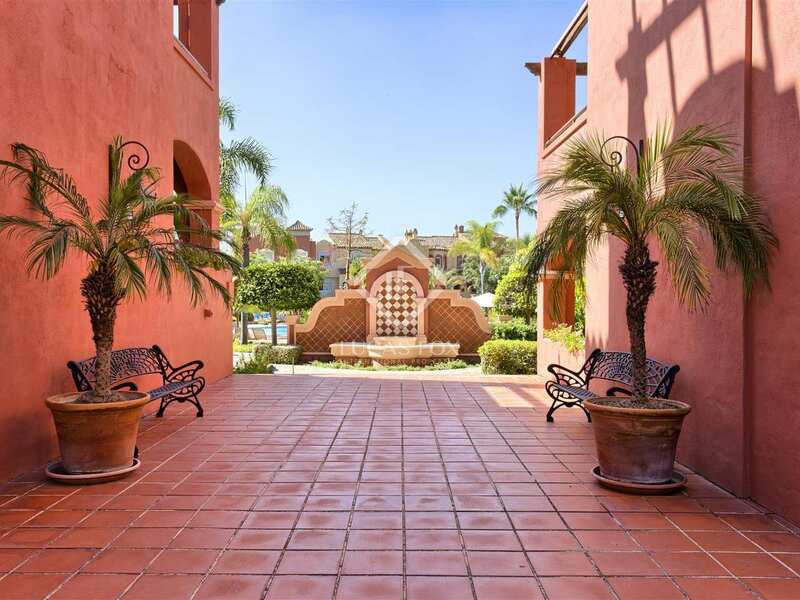 The resort has a beautiful wide swimming pool and is surrounded by palm trees and a fountain. 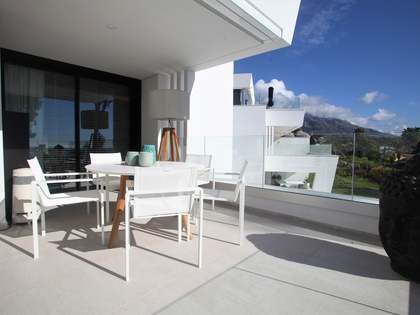 Designer furniture and furniture from Gunni Trantino –negotiable.